Event proceeds will benefit undergraduate, graduate programs. An annual gala celebrating recipients of the UCI Medal Awards saw donors pledge $1.265 million, generating proceeds of $1 million to directly support students. The event’s total fundraising target was $1 million. More than 600 people attended “A Celebration of Stars – The 2010 Medal Awards” on Oct. 2 to pay tribute to Susan Bryant, David Pyott, Scott Samuelsen, and Salma and Hazem Chehabi. 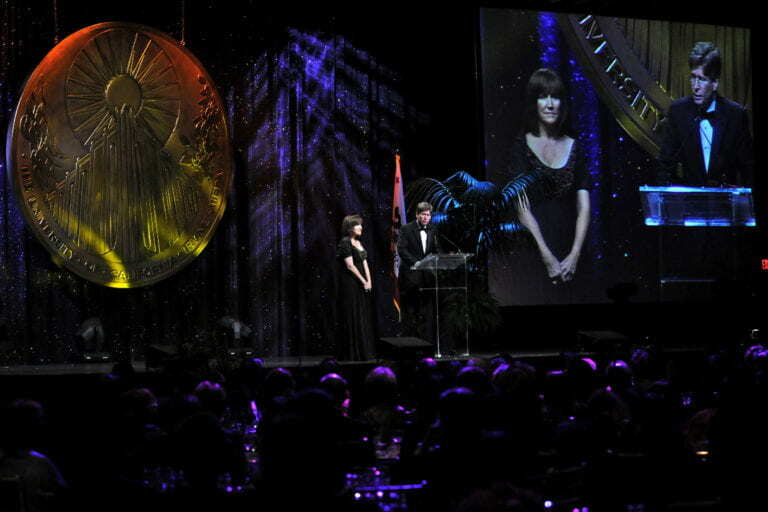 The gala is UCI’s premier fundraising event for scholarships, fellowships and other vital campus programs. “A Celebration of Stars – The 2010 Medal Awards” took place at the Bren Events Center and was hosted by Drake and the University of California, Irvine Foundation, which is chaired by James Mazzo, senior vice president of Abbott Laboratories and president of Abbott Medical Optics. Co-chaired by Rick Keller, chairman of First Foundation Advisors, and his wife, Anne, the event featured a reception, a formal dinner, medalist tributes and entertainment by the Claire Trevor School of the Arts, including a highlight performance by UCI alumna Teal Wicks, a Broadway singer and actress who starred in “Wicked.” Additionally, the R&B band Stone Soul provided dance music for the evening’s finale. Susan Bryant is the former vice chancellor for research at UCI who retired in June. Her longtime service as a teacher, researcher, administrator and leader has been a driving force for important initiatives ranging from stem cell research to advancing gender diversity in the sciences. Bryant served as dean of biological sciences from 2000 to 2006 and has held numerous other administrative positions. Her honors include being an elected fellow of the American Association for the Advancement of Science and the Association for Women in Science. She is a member of the Independent Citizens’ Oversight Committee for the California Institute for Regenerative Medicine as well as the California Council on Science & Technology. Bryant is also a leading expert on limb regeneration. Salma and Hazem Chehabi have been instrumental in helping grow many campus areas through their commitment of time, service and financial support since first becoming involved at UCI in the mid-1990s. A board-certified physician in nuclear medicine, Hazem Chehabi started working with UCI doctors early on, offering his facilities at Newport Diagnostics for training and serving as a volunteer faculty member in the Department of Radiological Sciences. His wife, Salma, is a philanthropist and community leader who earned a bachelor’s degree in biological sciences at UCI in 1999 and a bachelor’s degree in psychology and social behavior at the university last year. 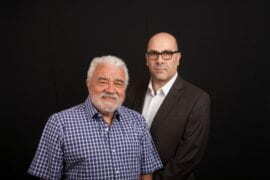 Today they are UC Irvine Foundation trustees, and Hazem Chehabi chairs the organization’s strategic planning committee. Their steadfast support of “A Celebration of Stars” includes the largest-ever gift to the event, which they co-chaired in 2008. At UCI, they are lifetime members of the Chancellor’s Club and Health Science Partners. David Pyott is chairman of the board and CEO of Allergan Inc., a global multi-specialty healthcare company. 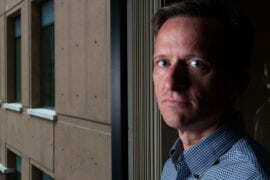 Through his personal gifts to UCI and by directing contributions from Allergan and the Allergan Foundation, Pyott has influenced many aspects of the campus, including The Gavin Herbert Eye Institute, The Paul Merage School of Business, the schools of biological and physical sciences and the Medal Awards. Recently, Allergan underwrote dermatology fellowships to support the next generation of skin doctors and accelerate medical innovation. Along with his wife, Julianna, Pyott chaired the 2003 Medal Awards, and he is on the dean’s advisory board of The Paul Merage School of Business. 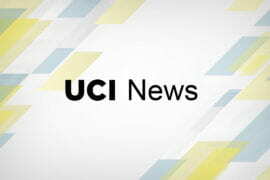 He’s also a past chair and current board member of UCI’s Chief Executive Roundtable. Scott Samuelsen is a professor of mechanical and aerospace engineering in The Henry Samueli School of Engineering who oversaw the creation of UCI’s hydrogen fueling station – the most technologically advanced, publicly accessible such facility in the world. Samuelsen directs the Advanced Power & Energy Program, which encompasses the National Fuel Cell Research Center, the UCI Combustion Laboratory and the Pacific Rim Consortium on Energy, Combustion & the Environment. His research focuses on energy generation, distribution and utilization, including the production of electricity, motive power and propulsive power from fuel cells, gas turbines and hybrids of both. He also explores the environmental impact of these energy systems, the dynamic between energy generation and atmospheric quality, and the development of environmentally preferred, high-efficiency energy generation integrated into buildings and complexes. The UCI Medal was first awarded in 1984 to founding Chancellor Daniel G. Aldrich Jr. Recipients have included Nobel and Pulitzer prize winners, authors, inventors, captains of industry, scientists and pioneers in virtually every field of endeavor.